We’re Ron & Deb Carpenito! 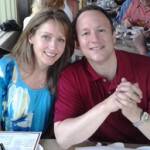 Over the past 10 years, our real estate team has been helping home sellers in the North Andover MA area prepare their homes for sale, interpret local market conditions, market their homes to buyers and agents, negotiate deals on our clients behalf, and get them from contract to closing and moved. We’re extremely committed to our local community, being involved in many different civic organizations, and with our chamber of commerce, plus we live here as well! So, when you’re considering selling your North Andover home, consider putting our North Andover Real Estate team of specialists to work for you, we’d love to help. Contact Us Today!